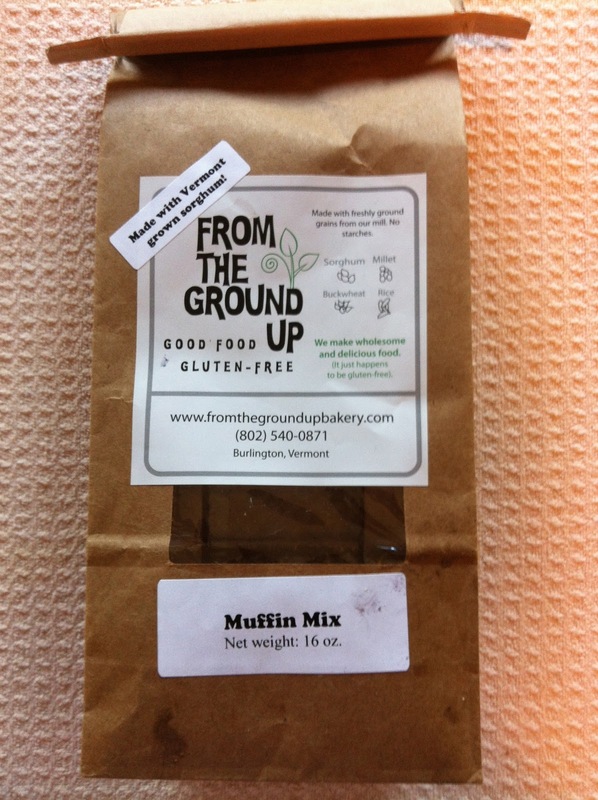 I woke up this morning with a craving for muffins, and we just happened to have a package of From the Ground Up muffin mix in the pantry that Michy had gotten as a sample to try from the co-op. 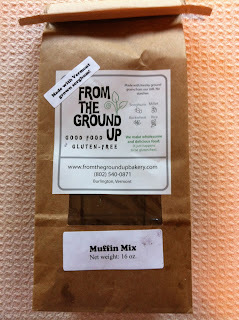 From the Ground Up is a gluten free bakery based in Vermont that uses locally grown ingredients. They have their own grain mill that has never processed wheat, rye, or barely... so there is no possibility of contamination. Excellent! They also offer Community Supported Bakery Shares, which I think is a really cool idea. I decided to give them a try. There was enough mix to make 12 good sized muffins. The instructions tell you to add egg, milk, vanilla, oil, and whatever fruit you want. 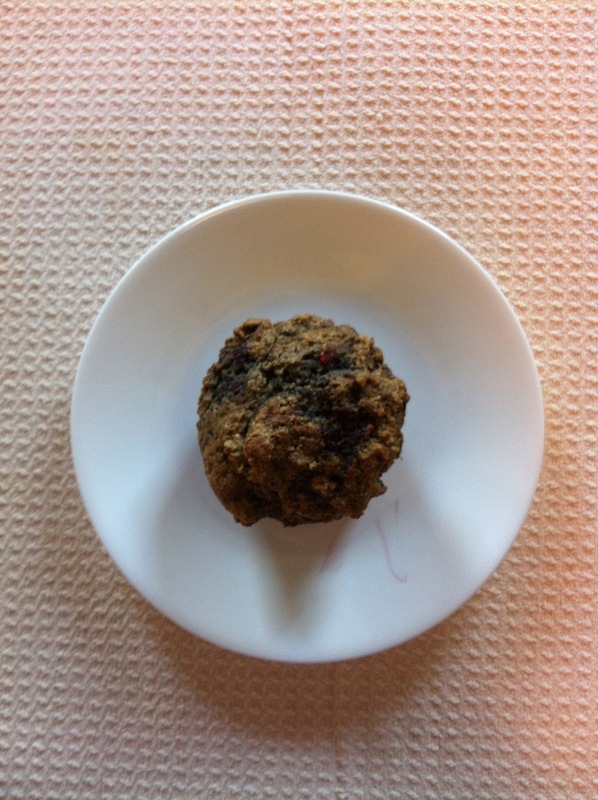 I chose to use eggs (since we still had some local pasture raised eggs in the fridge), but I'm sure you could easily swap in an egg alternative, like Ener g Egg replacer, ground flaxseed, or even banana if you like the flavor. I used coconut milk and coconut oil. I've recently developed a love of coconut oil and I put it in everything. 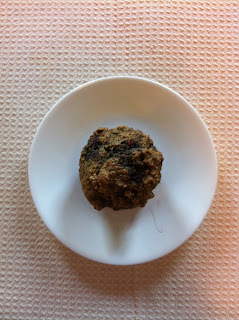 We had a bag of frozen mixed berries in the freezer so I threw those in as well. The mix instructions were simple to follow. The batter was thick but still easy to handle. The only weird thing was the instructions were for 3 jumbo muffins or 6 regular muffins instead of 6 jumbos or 12 regular. I just thought that was a strange number to base instructions on and so I ended up having to double all the numbers. Not a big deal, but still surprising. I made what I thought were 12 regular sized muffins. They took about 5 more minutes to bake than the package suggested, but my oven can be a bit tempermental. These smelled delicious. When I pulled them out of the oven, the munchkin followed me into the kitchen and began pointing and signing please... so the smell is also enticing to toddlers. I let them cool for a few minutes before popping two out of my muffin tin, one for me and one for the munchkin. These tasted as good as they smelled. 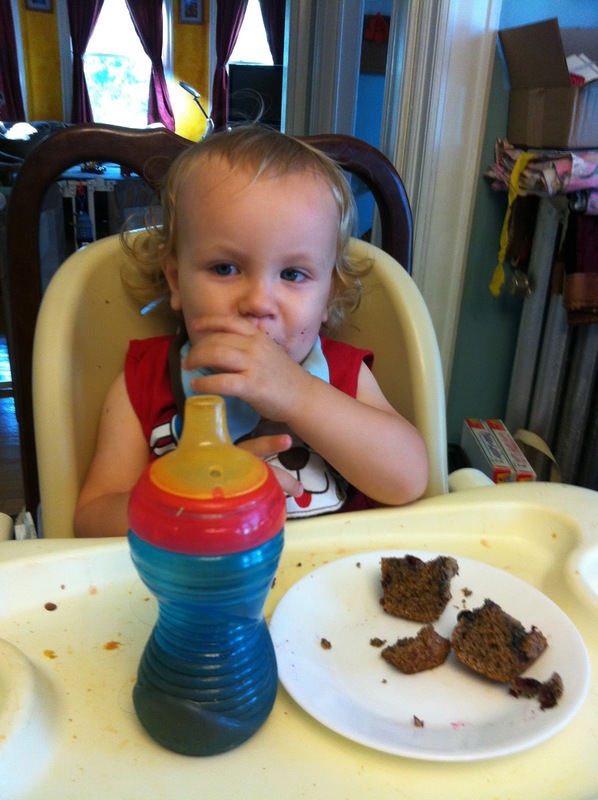 Hearty and sweet with a great texture. I polished one off and immediately went back for a second. The munchkin finished a whole muffin by himself without dropping any to the dog. I will definitely be buying some of this mix. I would also love to try some of their other flours. 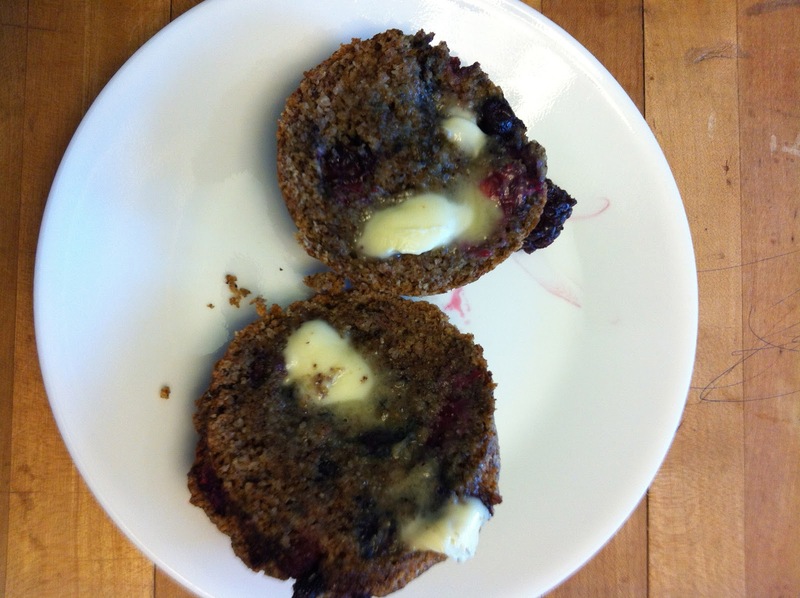 Mmm... can't wait to have another muffin for breakfast tomorrow.